Zobo o Zobo! I did not really drink a lot of this in Nigeria. I was more of a Ribena girl. If mommy did not make it, I never had it. There is something about this drink that everyone loves. After a short chat with my friends Nelo and Ronke from 9jafoodie I decided to go and try this drink by myself once again. Yes, I have tried it once last year but I could not get anymore leaves so I postponed making anymore. As with things I have not done a whole lot of, I got confused as to what to do once again. So, I spoke to Ify of eating Nigerian and she told me to basically free style it. What is Zobo? 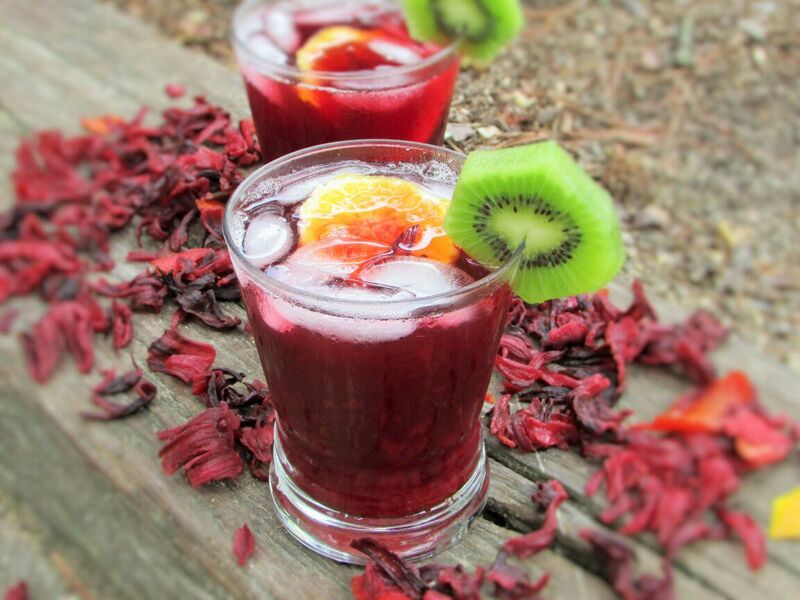 Zobo is what I would call the Nigerian kool aid which is made from the leaves of the Sorrel /Hibiscus plant. The Jamaicans are also known for this tea. This tea can be made however way one wants to enjoy it i.e. either hot or cold. 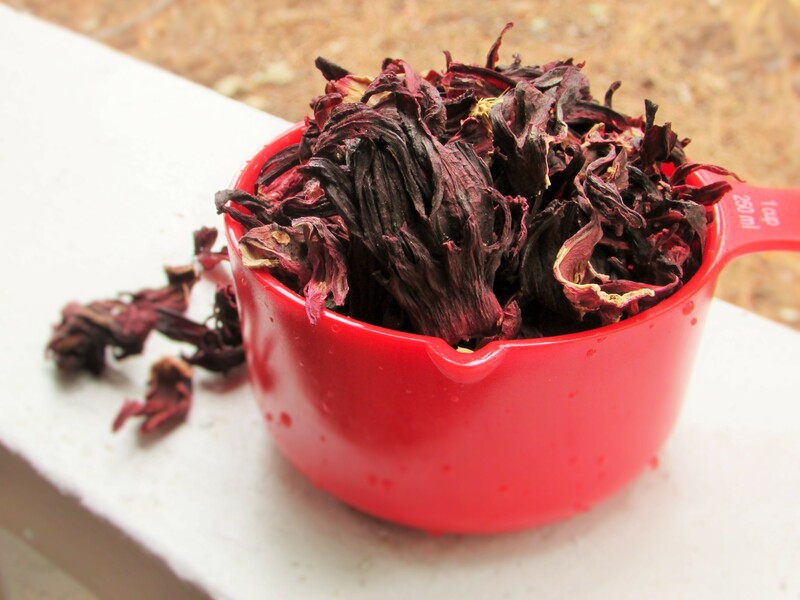 The Sorrel has a whole lot of health benefits. It can be used for ailments such as high blood pressure, heart diseases, bad eye sight, body weakness and cough. It can also be used as a diuretic and a laxative. The use of the Sorrel leaves is endless. You may make a syrup out of it for pancakes, ice cream, cocktails etc. I have to say my ajebutters enjoyed this drink and the other things I made out of them. Apart from the drink, I did some popsicles, some Zobo colada and some syrup. I remember asking my ajebutter2 if he drank all his “zobo” and he yelled back “yes! I yike (like) it mommy!” and ajebutter 1, she loved the syrup on her ice cream. So, here I am screaming EUREKA! Now, that we can make some zobo, let us say it has now become a staple drink for my ajebutters an I; and this comes with their approval. 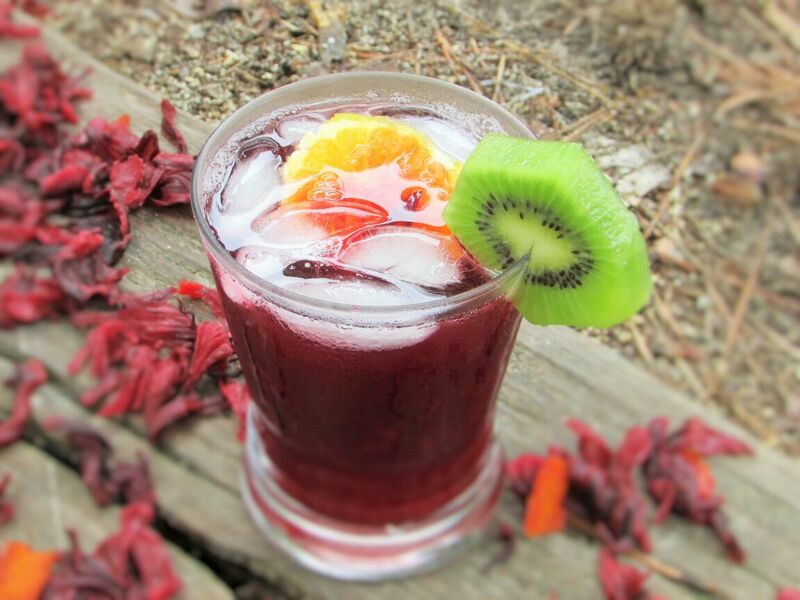 This entry was posted in Drinks and Cocktails, Uncategorized and tagged hibiscus drink recipe, Hibiscus tea recipe, How to make Zobo, Sorrell tea recipe, Zobo recipe. Nice one nma. But where can I get kiwi? Nice one nma. But where can I get kiwi in nigeria?